A G7 Master Printer possesses the technology and tools to consistently deliver the highest quality printing in the world, based on the most stringent international standards. 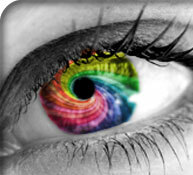 As an innovative, environmentally responsible printer of excellence we are constantly striving to learn new techniques and invest in and develop new technologies which will deliver higher value for our clients, and therefore set our company apart. By becoming G7 Master Printer Qualified in the spring of 2009, Universal is able to deliver more consistent quality printing across all of our output devices for our clients. This means fewer wasted make-ready sheets, less ink usage, quicker drying times and faster delivery times. The reduced cost and the positive environmental impact are real and quantifiable. From a practical standpoint this also means that if you go to a trade show your ink jet display backdrop, digital flyers, and offset printed presentation and marketing materials will all match! For the “geek details” see below! WYSIWYG - What You See is What You Get... Right? Over the years, printing has grown far beyond traditional litohgraphy. Printers don't just deal with sheetfed offset presses, but also digital presses, digital printers, inkjet proofers, and wide-format inkjets. There are oil-based inks, solvent inks, poloymorized toners; how can ANY output possibly match? This is where GRACoL and G7 save the day! “GRACoL” stands for General Requirements and Applications for Commercial Offset Lithography, the guidelines that have become the de facto rule of the land in printing shops everywhere for producing high-quality color print. These guidelines were developed by IDEAlliance back in the mid-1990s.The term GRACoL nowadays pretty much refers to the committee itself, while its published guidelines are “GRACoL x” (GRACoL followed by the version number) like GRACoL 6, which came out in 2002, and the new GRACoL 7 in 2006. When GRACoL 7 came out, it was after a bunch of research and press runs. It emphasized visual appearance-based proof to print, introduced the new gray scale calibration technique and more. G7 is IDEAlliance's "Proof to Print" process in which you get the goals and specifications lad out in GRACoL 7 – by employing the new gray scale calibration techniques based on principles of digital imaging, spectrophotometry and computer-to-plate (CtP) technologies. Then came the G7 Master designation, which is the “seal of approval” granted by IDEAlliance to printing companies, ad agencies and premedia shops who have successfully gone through the training, testing, press form auditing, etc., to meet the requirements. Recertification and retesting are required annually to maintain G7 Master status -- guaranteeing that an approved printer will provide accurate output and adhere to the methodology. More importantly, how does G7 help YOU? The primary benefit is that you're getting the very best color management available today. G7 Masters have to prove that they can match proof, plates and press sheets – so the customer is getting a shop that runs tighter process controls than just using a pressman’s eyeball for color. Let’s not forget, the statistics point out that one in 12 people are colorblind! By using G7, you are measuring color with hand-held spectrodensitometers, which provide accurate numbers of how the ink is printing. Color has always been subjective, so why rely on human eyes when we have equipment capable of measuring color so accurately? For more information about the ins and outs of GRACoL, click here. I feel Universal Printing's customer service is top notch, professional and personable. They have gone above and beyond more times than I care to count, which is one of the things that sets them apart from others.